Hi there, my darlings! So much to do, so little time but here I am, stuck at home because this weird NYC weather finally caught up to me and brought me down! Womp. Yup! 80 degrees one day and unseasonably chilly the next is NOT good for one's health. But, to cheer myself, and hopefully you to, I have some more swatches of Sally Hansen's new Triple Shine collection to show you! This post is a bit of a mixed bag--the finishes range from metallics to semi-sheer shimmers to shimmery microglitter. Each one has a unique formula so I'll discuss them separately. However, ALL of them have been topped with one smooth coat of Triple Shine Top Coat, shown below. 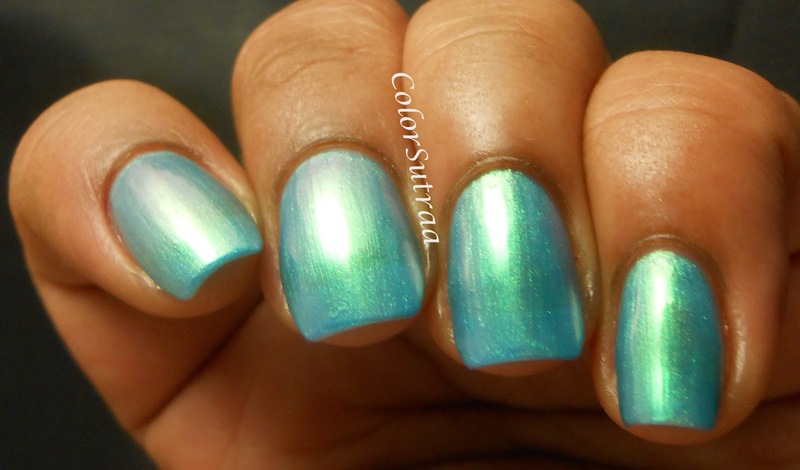 Make Waves is a semi-sheer, light blue with a gorgeous green flash. The formula of this, despite being sheer, is lovely--the polish applies so smoothly and easily. The swatches below show 3 generous coats. I absolutely love this polish! So ethereal and shimmery! 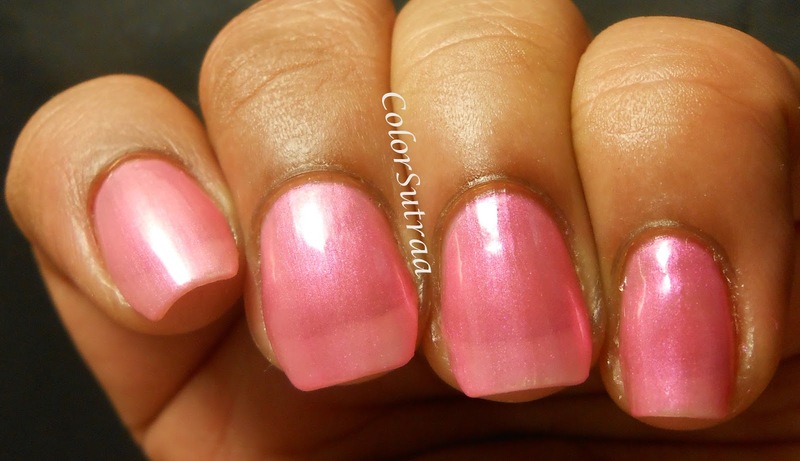 Blow Bubbles is a sheer, light pink polish. The formula of this os very similar to Make Waves above and just as easy to apply. The swatches below show 3 generous coats. This one was slightly more sheer than Make Waves hence you do see some visible nail line even after 3 coats. I don't mind a little visible line but if it's not something that you enjoy, this polish would be great layered over your favorite pink creme! 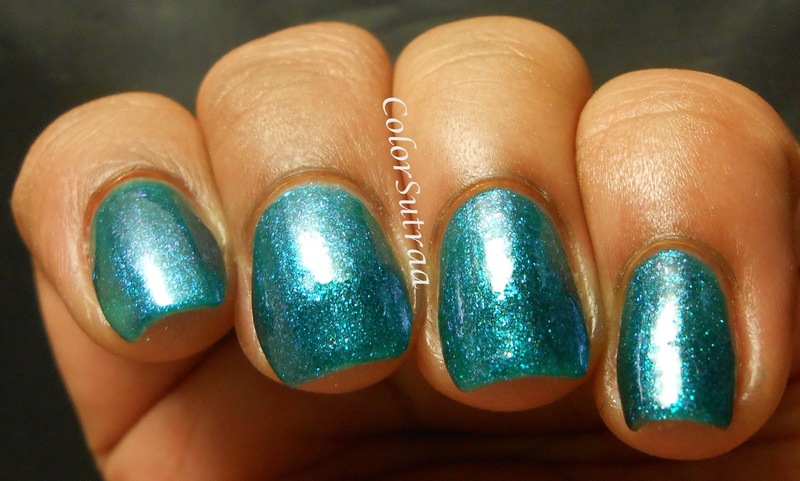 Sparkling Water is gorgeous, aqua-teal shimmer polish with what I do believe is fine teal microglitter. Fantastic application and formula--the swatches below show 2 generous coats. This is hands-down my favorite of the 9 Triple Shines I've reviewed so far! Absolutely to die for! Which of these is your favorite? I'd love to hear your opinions in the comments section below!